We will travel to your location anywhere in the US. Helping you create the perfect menu for your special day. Cooking inside the Dutch oven isn’t just fun, it is truly a trip back in time. We give lessons to groups large and small. We prepare your meal on site to assure freshness and a beautiful presentation. We offer for rent this authentic Chuck Wagon to be the center of attention at your parties. Let us take care of the catering while you enjoy a worry free event. Menus range from traditional ranch BBQ to more formal epicurean delights. Delicious cuisine, beautifully presented and on time. We love creating the perfect menu for your special day. Choose one of our popular menus or let them spark your imagination to create a delicious and memorable event. We love feeding happy people on happy occasions. Cowboy Flavor has created a line of products to help you bring out the true Cowboy Flavor in your BBQ. Watch Billy and Sue in action. Consistent, professional quality in onsite BBQ-style catering and the latest in Gourmet fare. BBQing for all occasions, for everyone from our neighbors to Hollywood celebrities. Regardless of your menu or special occasion, our equipment enables us to make it fresh on site, whether in the middle of a vineyard or at the venue of your choice. We only use fresh California-raised Harris Ranch All Natural Beef, aged to our specifications. Meats are BBQed over local Coastal Red Oak coals. We use only the freshest local seasonal produce and our local heirloom beans. The choices of the Artisan cheese we offer are sure to add an exciting dimension to your Wine Pairing. Our desserts range from homemade favorites to more decadent fantasies. Free consultations and menu planning. We’d love to help you create the perfect menu for your special day. Choose from the popular “Theme Stations” beautifully placed around your venue, an elegant buffet, or a formally plated meal, it's your party your way. Past Events speak for themselves in presentation and elegance. Respected by professional event planners throughout the culinary industry. Friendly, diligent and professional staff – as you would expect. BBQ Pits and Kitchens are very attractive and always clean. WE CATER TO THE COWBOY WORLD AND BEYOND! There is a good reason why so many brides and grooms have trusted Cowboy Flavor to cater their special day. We have many years of experience catering for wineries. When you are entertaining your executives, employees and potential clients we want to help. 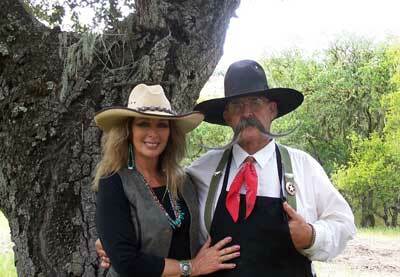 Cowboy Flavor would love to help you create the perfect menu for your special day. For more information and availability call us at 888-386-2776 or complete our Contact Form. © 2016 Cowboy Flavor. All Rights Reserved.